I have not been following the Sad Puppies controversy in detail, so my comments are very general. (And am so not touching Gamergate, which deals with a particularly intense subculture I have only passing acquaintance with.) However, the Hugo Awards controversy reprises similar controversies in other fields; hence the general comments. (1) Be suspicious of arguments from quality. Quality in artistic and literary endeavour is far from an empty concept, but it is also far from an entirely objective one. Which leads it open to all sorts of contention and hi-jacking. In particular, it is absolutely standard for supporters of the status quo to make the argument from quality--i.e. we don't have any black/female/conservative/... writers/announcers/artists/... not because we are prejudiced against them, but because there simply aren't any that are good enough. (2) Diversity has varied dimensions. Racial and ethnic diversity is one sort of diversity. So is diversity in ideas. They have no necessary correlation. People of varied racial and ethnic backgrounds are likely to have varied experiences but that does not, of itself, lead to diverse ideas. (3) Covert politicisation is easy to not see and hard to fight without engaging in overt politicisation. All the various groups marching down the Emancipation Sequence have engaged in overt politicisation and been condemned by supporters of the status quo for doing so. (4) Critics of Sad Puppies are using fairly standard Defenders of the Status Quo arguments. Arguments such as: nothing to see here, those over there just troublemakers subverting standards of quality, they are politicising what as working just fine ... . Which, of course, makes said critics the Embattled Establishment. Not the self conception the Virtuous like to have, but that does not make it any less true. A quick Google suggests that mainstream media coverage has been largely fairly awful--engaged in identifying who are the Bad Guys and holding the status quo to be unproblematic (which, by definition, means that no critique thereof has any legitimate basis). But that is also a recurring pattern when the media is largely on the side of the status quo. 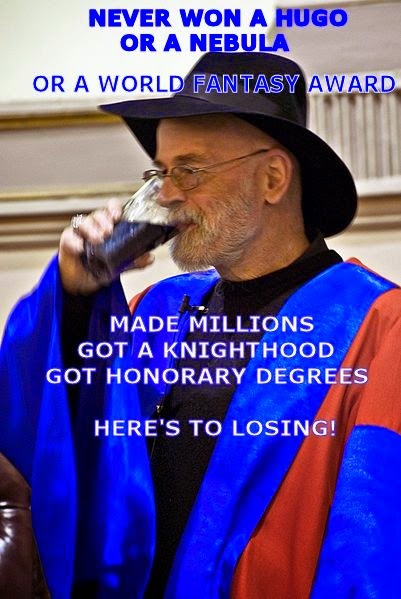 Would it be better if the Hugo Awards had not become subject to overt politicisation? Probably: but folk should have thought of that before they began judging writers by their personal beliefs (or rumours thereof). But that is the problem with Virtue signalling: it is subject to Virtue inflation--both in ever finer moral distinctions (such as making a big moral deal over the difference between "coloured people" and "people of colour") and ever broader range of social matters to signal Virtue over. To be ever more socially invasive is it basic logic. Particularly as part of Virtue signalling is to hold that the said Virtuous have a monopoly of moral legitimacy, so it is just fine to exclude folk of different views from social goods. But other folk may care about their, for example, SF too, and are likely to respond. For a useful corrective, recovering a sense of nuance and moral diversity, I recommend this essay by Jonathan Chait on the dynamics of US culture war debates. Or, in other words; people have differing views: get over it and lets get back to SF as fun. ADDENDA: George R R Martin on the controversy. Larry Correia, founder of Sad Puppies, replies. "Over-valued" is the wrong metric about "bubbles"--housing or otherwise. Thinking about asset price stability is pervaded by incorrect framings. Particularly if folk start throwing around the term "bubble". Apparently, they don't. Yes, low real interest rates combined with strong income expectations will lead to more use of credit, particularly to purchase assets. But central banks have no influence over real interest rates and maintaining strong (or at least stable) income expectations is what they are supposed to do. Failure to do the latter is what led to the Great Depression and the Great Recession. So, low real interest rates (not the fault of central banks) + strong income expectation (what we want them to do) => more use of credit to purchase assets. Does that mean we get surges in asset prices? No, because there is the little thing called the supply side. Prices are a matter of supply AND demand. If the supply of assets responds to the surges in demand, there are no price effects. We live in an age of low real interest rates. The Reserve Bank of Australia (RBA) has been doing an excellent job in maintaining income expectations. (No recession since the early 1990s). All our State and Territory Governments, aided and abetted by many of our local governments, land-ration. 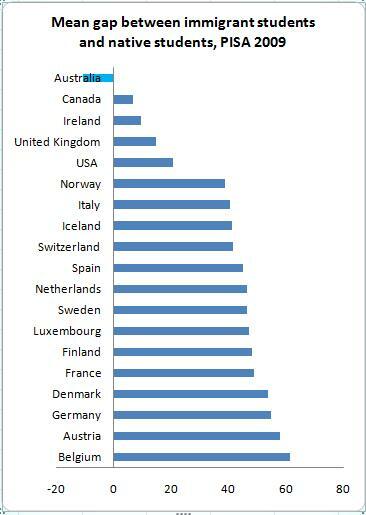 We are relatively high immigration country (and we are good at cherry-picking our migrants). Of course our housing prices have surged, and surged, and surged. So, is it a "housing bubble", allegedly one of the worst seen? The problem is the word "bubble". By "bubble" people typically mean that (asset) prices surge upwards, then collapse pretty quickly. The problem is that the term bubble has no useful predictive value. If we could reliably predict turning points (of prices) there would be no such "bubbles", because people would generally not purchase at a price that were reliably expected to collapse. So, the entire notion depends on unknown turning points. The same goes with notions of "overvalued" assets. If that means anything, it means that future prices are expected to be lower. But, if that is a general expectation, they will not reach that price in the first place. Expectations matter a lot to asset prices, because assets are things which are expected to provide enduring benefits--either as a store of value, or a producer of income, or both--over more than one time period. And we have no information from future time periods, only expectations about them based on already existing information. The question which people are fumbling towards asking is the one they should focus on directly: how stable are these prices? How vulnerable are they to new information? That is an excellent question. In the case of new technology, very vulnerable: because, well, it is new, and thus has large amount of uncertainty (in the Knightian sense of unable to be reliably calculated). Hence new technology is a great generator of asset price instability (pdf), of asset boom and busts. One of the features of the Global Financial Crisis (GFC) was new technology in the finance industry. If the asset prices are built on strong income expectations, they will be very vulnerable to any sudden fall in income expectations. That is, the central bank screwing up. They will be particularly vulnerable to that if the asset purchasing is highly leveraged. If the asset prices are built on supply constraints, they will be vulnerable to any sudden removal of said supply constraints. They will also be vulnerable to any sudden shift in specific demand for that asset not covered above. For example, in the case of housing, a drop in immigration. So, does Australia have various housing bubbles? That is the wrong question, focusing on unknowable turning points based on not yet existing information. The correct question is: are Australian house prices vulnerable to sudden downward shifts? So, how likely do you think any of them are? Not very I would have thought. Ironically, the most likely is the RBA screwing up; and the most likely scenario for that is that it makes the mistake of paying attention to (via) the "it's your fault!" bubble-manics and does what no central bank should ever do--get into the "bubble-popping" game. Especially as the most likely effect thereof is to make the leveraging problem worse (pdf); potentially much, much worse. 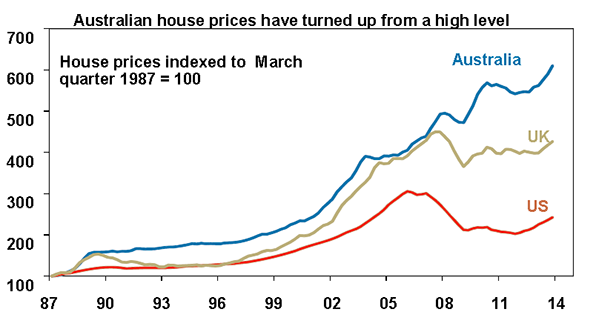 So, do Australian housing prices make much more sense now? Isn't to useful to frame the questions in the right way? Bubble-mania, it will rot your analysis. (1) Western killing of Muslims in military conflicts recruits for jihadis such as the Islamic State. (2) Jihadi killing of Muslims (much more common) does not repel such recruits. (3) The Islamic State is not Islamic. It appears to provide a splendid example of how contradiction is not a bug but a feature of Virtue signalling--if you are prepared to swallow all this simultaneously, you are very Virtuous, a member of Club Virtue in excellent standing. Of course, such views appear to be quite common in Muslim communities (for example, in Australia); but they are also about defending congenial belief in the face of inconvenient evidence.